Malatya Pride: We are neither alone, nor wrong! 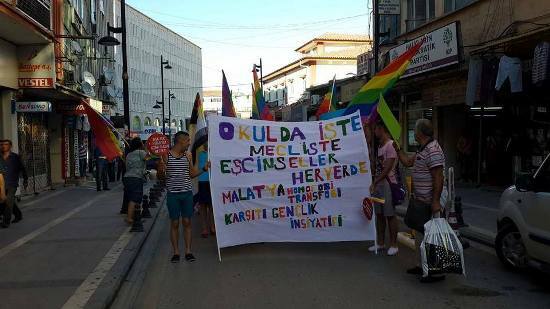 The Malatya Youth Initiative against Homophobia and Transphobia held the first ever pride parade in the city. The eastern city of Malatya hosted participants from the surrounding cities such as Adiyaman, Antep, Bingol and Elazig as well as from Istanbul. Although the police did not let the parade take place in the planned route, those who watched the parade from their balconies showed their support with their zilgit (tongue lashing) and those driving by honking. The rainbow family group “Families of LGBTs in Istanbul (LISTAG)” who came to Malatya for the screening of the documentary “My Child” which tells the stories of families that have LGBT kids also joined the parade. 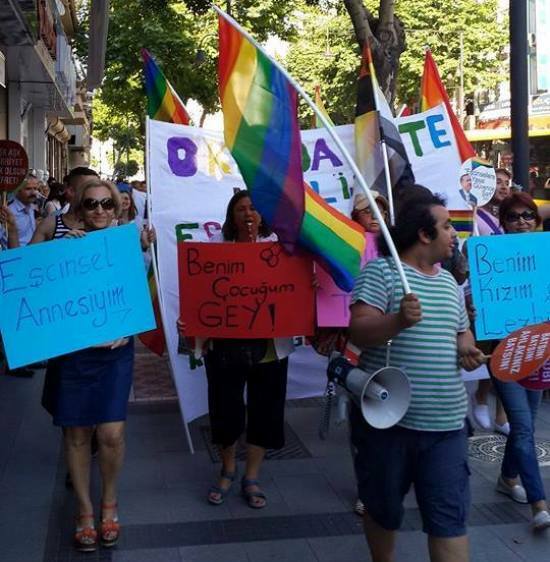 Malatya Youth Initiative against Homophobia and Transphobia is one of the local LGBT groups that have formed after the Gezi Park protests last year.